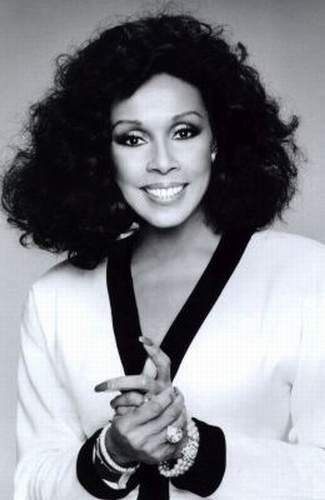 Actress and singer Carol Diahann Johnson was born on July 17, 1935 in The Bronx, New York. She attended Manhattan’s School of Performing Arts and worked as a nightclub singer and model before making her Broadway debut in The House of Flowers in 1954. That year, she also made her film debut alongside Dorothy Dandridge in Carmen Jones. Carroll made a number of films during her career and was nominated for an Academy Award for Best Actress for her work in Claudine in 1974. She starred in No Strings (1962) and also appeared in I Know Why the Caged Bird Sings (1979). It wasn’t until she was cast as the lead in Julia in 1968, however, that Carroll became a bona fide celebrity. The role made her the first African-American woman to star in her own television series. She was nominated for an Emmy Award for Julia in 1969 and won the Golden Globe Award in 1968. Carroll is also well known for her role as jet setter Dominique Deveraux on Dynasty from the 1980s. She received her third Emmy nomination in 1989 for her role on A Different World. Most recently, Carroll has made recurring guest appearances on the hit dramedy Grey’s Anatomy. Carroll has been married four times, including a relationship with singer Vic Damone.